Attorneys - Estate Planning, Real Estate and More! Attorney Miller received his Bachelor of Science and Master of Science Degrees in Secondary Education form SUNY College at Buffalo, and his Juris Doctorate Degree from New York University at Buffalo School of Law. He is admitted to practice law in both New York and Florida. 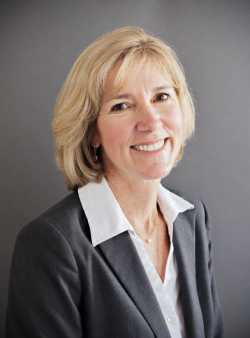 Attorney Miller joined the firm in 1983 and became a shareholder in 1986. In 1998 Attorney Miller was selected to serve as the third Managing Member since the firm was founded in 1953. His practice areas include real property, both transactional and litigation; estate planning, administration and litigation; contract formation and litigation; and corporate law, both transactional and litigation. Attorney Miller was also a participant in the formation of the City of Marathon, and served as spokesperson and counsel for the incorporation group, “Citizens Incorporate Marathon”. Following the incorporation of the City Attorney Miller was elected to serve as a Member of the inaugural City Council, whose members, in turn, selected Attorney Miller to serve as the first Mayor of the City of Marathon for two consecutive terms. 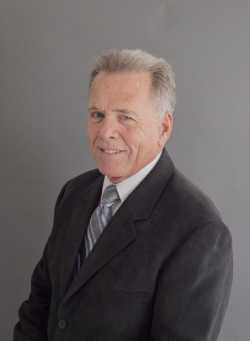 In addition to his service to the City, Attorney Miller has served on the Monroe County Airport Advisory Board, the Monroe County Offshore Waters Committee; The Friends of the Marathon Library Board of Directors; the Middle Keys Experimental Aircraft Association Board of Directors, and numerous other civic and social boards. Lesley joined Cunningham Miller P.A. in February 2010 to practice civil law, specifically concentrating in estate planning, probate administration, real estate, intellectual property (patents and trademarks), contracts, corporate, commercial, guardianships, family law, and civil litigation. Prior to joining Cunningham Miller, P.A., Lesley worked as a solo general practitioner in Islamorada, FL, corporate intellectual property counsel for Motorola, Inc. in Ft. Lauderdale, FL and Basingstoke, UK and Patent Attorney for North American Phillips Corporation in Tarrytown, NY. Prior to her corporate experience Lesley worked as an associate attorney with Rosen, Dainow and Jacobs, an intellectual property law firm, in New York, NY. Lesley is currently admitted to practice law and is a member of the professional associations in the states of Florida, New York, U.S. Court of Appeals for the Federal Circuit, U.S. Patent Bar, and is presently pursuing Florida Bar certification in Wills, Trusts and Estates. Lesley earned her undergraduate degree from University of Florida, College of Engineering in Computer and Information Sciences. She worked for Intel Corporation for three years before attending University of Miami Graduate Business Program and then University of Miami Law School to receive her Doctorate in Jurisprudence. She completed her last year of law school in New York City to study international business law. While in law school, Lesley interned at Miami and New York law firms practicing in a variety of legal fields. Lesley relocated to Islamorada with her husband and four children in 1999. Her husband is the owner operator of Coconut Cay Resort and Marina in Marathon, FL. Her eldest daughter graduated from Duke University, her second daughter graduated from Stetson University, her oldest son graduated from University of Alabama and her youngest son attends the University of Florida. Lesley is active in the local community. She is member of the Land Planning Agency and the Parks and Recreation Committee for the Village of Islamorada. Lesley has also been active with the local school advisory committee as past chairman. Lesley is also a certified private pilot. She enjoys flying, tennis, boating, and spending time with her family and friends. © 2018, Cunningham Miller P.A.. All Rights Reserved.